I'm playing a 6 piece (10,12,13,16 for the toms) with a ride by the floor tom, one crash over the 13 and one crash over the 10. I've been playing this way, or as a 5 piece, forever. Recently as I'm playing some stuff and watching some of the videos I realized that I kind of have to work hard for some cymbal hits because of only have the two crashes. Playing Rush was somewhat of the catalyst for the question. Just wondering what people's thoughts are on this? Most people here seem to have 4 or 5 different crashes. It's really up to you if you want to get more cymbals, personally I have four crashes, one as my primary just behind my hats, two over my toms and one near my ride cymbal and china. It does help, what kind of cymbals were you looking at? Looking is optimistic! Maybe when the tax refund gets here LOL. I would probably get some older Zildjian A's. That the bulk of what's on my set and my songs. Mine are older enough to just be Zildjian before they started calling them A's. I would also consider an XS20 since I have a ride and I like the sound. Of course if I go used, I could get an A Custom possibly too if they are cheap enough. The two I use are a 16" thin crash and 18" medium. I would probably consider getting a smaller thin for even faster crash, like a 14" Fast Crash. Not sure if I would need another one. The 14 would probably be set near the hats, and then center the other two over the toms. I guess I could use one right over the ride, but not sure what I would use there. We generally play rock/hard rock/alternative/punk if that isn't enough of a range of music. But whatever we play it tends to be louder and faster. If you have some recommendations, I'm open. Other than getting the XS20 recently, none of my cymbals is less than 15 years old. I run 3 or 4 crashes depends on stage room. Go for the extra crash over the floor tom/ride cymbal! You can drop down straight onto your floor tom from it and make some great fills/grooves. It may be that a lot of drummers in here use a lot of cymbals because they actually fit within the framework of their Artistry. SWD certainly has a battery of cymbals and if you watch his videos you see that he uses each of them as a particular voice. For my own setup, I use an 18" Avedjis Zildjian Full crash and a 16" K Dark med. thin crash and punctuate these with a 10" splash. I have considered adding a China and I might someday but that's all I would need. Personally, I like those of you who have a wide array of cymbals because of their use in what you all play. Having something like that wouldn't be to practical for big band jazz. So, the short answer to how many cymbals is enough...depends on what you want to play and what you need to play it. Like Frank said, I think it's a matter of what you feel comfortable with for the style of music you're playing. I use 4 crashes and a splash, but I have certain songs that I play where I only use one or two of them. I also use my 18" crash as a ride occasionally, so it serves another purpose as well. Just like having a large drum kit, it just offers you more possibilities. I think we're all constantly learning and experimenting with different sounds and different ways to accentuate the music. It's all part of the fun of being a drummer. I'm with Frank and Norske. 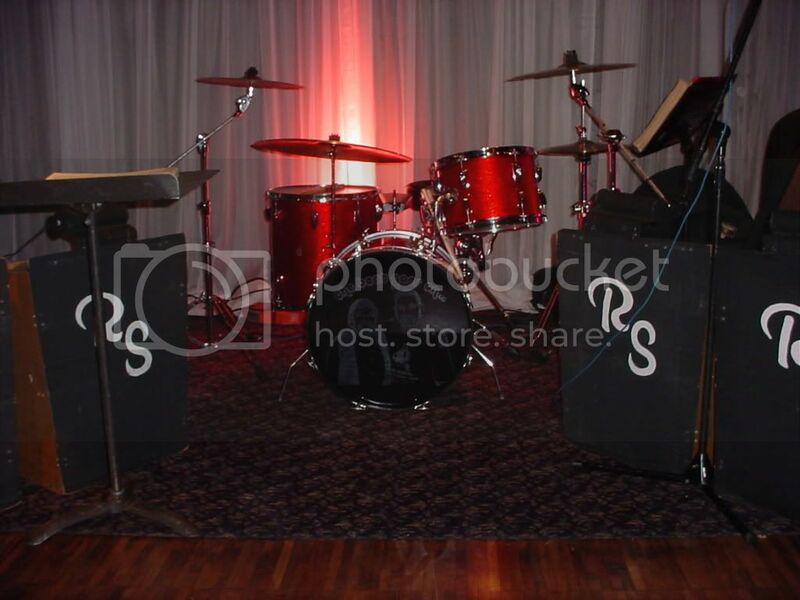 I have a 16" and 17" crash over the rack toms, a 20" ride and an 18" china. I'd love another crash and maybe a splash or two. Not that I need them, but they'd be fun to have.